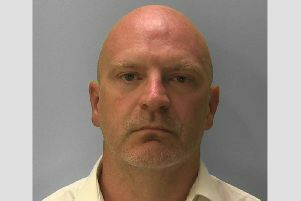 An Eastbourne man has been fined thousands of pounds by Hastings Borough Council (HBC) for failing to provide his tenants with a working heating system and toilet facilities. Oliver Seath, of Hereward Road, was found guilty in his absence with regards to the failure to comply with improvement notices, said the council. The case concerned 16a Saxon Street, in St Leonards, of which Mr Seath is the leaseholder. Hastings Borough Council’s housing enforcement team inspected the property in October 2017. It was found that the flat had no working heating system, no hot water provision to the bathroom, hand basin and kitchen sink and no fully operating toilet. HBC served two improvement notices under the Housing Act 2004 and an abatement notice under S80 of the Environmental Protection Act. Mr Seath was required to address these matters and provide his tenant with a working heating system and toilet facilities. He did not deal with any of the notices, according to the council. Andy Batsford, lead councillor for housing, said: ”This is another good result for the Housing Enforcement Team. A tenant should not have to live without the basic amenities of heating and working toilet facilities in a property they are renting. “Whilst disrepair sometimes occurs, it is unacceptable that irresponsible landlords leave tenants for unacceptable periods of time before dealing with the issue, or in this case, fail to repair the problems at all. Mr Seath was fined £700 on November 9, 2018 for each offence totalling £2,100, council costs of £860 and a victim surcharge of £70.